Learning how to get your house ready to sell doesn’t have to be difficult. 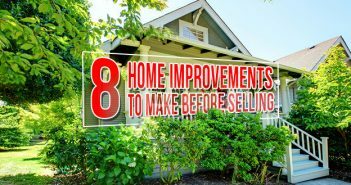 When we asked a few experts for tips on making your home more attractive to buyers, we realized that most of increasing home appeal can be boiled down to getting rid of four things. Check out our list below to learn what you should lose to help gain a sale. 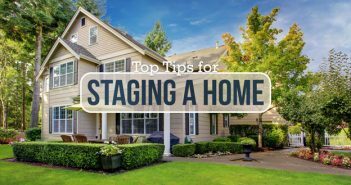 Every home stager we spoke to agreed that much of learning how to get your house ready to sell is accepting that you have to buckle down and clean like crazy. If you don’t have time to do this yourself, hire a cleaning service—because anything less than perfectly clean will turn off buyers. A squeaky clean home is a quickly-sold home. Kitchen gadgets and rarely-used appliances like blenders, toaster ovens or bread machines. Bathroom toiletries you use only occasionally. Seasonal clothing, formal wear and anything you won’t be wearing while showing your home. Any pantry items you won’t be cooking with this week. Anything else that isn’t a daily essential. You may think leaving out your DVD collection or board games can be harmless because you use them frequently and assume everyone else does too, but that isn’t necessarily the case. It might be just the thing a potential buyer never does and finds the home cluttered. Buyers don’t need to know about your decorative soap collection. Are you the type of person who holds onto old furniture because “one day” you’ll reupholster it? Or refuses to throw out those wet suits in the attic because “one day” you’re going to take up scuba diving? Now’s the time to admit that “one day” isn’t coming. 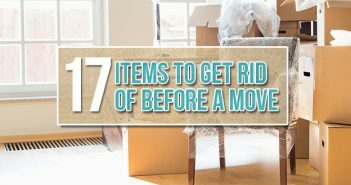 As Gould points out, getting rid of these items will ensure better home appeal for potential buyers and an easier move for you. You gave up on pottery when it failed to conjure Patrick Swayze. It’s time to let go. In order to make your house ready to sell, clear the junk out of your garage, attic, basement and/or sheds. This will give potential buyers a true feel for how much storage your house offers. BD Hint: You don’t want potential buyers driving past a house with a pile of junk in the yard. If you have a lot to get rid of, consider renting a dumpster for fast removal. Your motorcycle may be cool, but it won’t help you sell your house. Get busy losing all the things that’ll help you win buyers over! Internationally recognized home staging expert Debra Gould is President of Voice of Possibility Group Inc. which operates Six Elements Home Staging and the Staging Diva Home Staging Business Training Program. An entrepreneur and author of several home staging guides, Debra has staged millions of dollars worth of real estate and trained over 10,000 home stagers worldwide. Visit Staging Diva Directory of Home Stagers to find a home stager in your area. Interior Gilt is not just your typical furniture store. Their design ideas are based in the belief that everyone should have a home that reflects them uniquely, embraces the things they love and above all else is comfortable. They are also available for home staging and design consultations. Love your home. Guilt free.